Sizes from 6" x 6" all the way up to 10' x 24' (or any size that you need)! Affordable Sign Advertising: Our outdoor signs make great 'permanent or portable' and affordable signs for school, business, church, event and home advertising. We constantly seek out new materials and manufacturing methods that can be leveraged across many different applications and have developed manufacturing processes that are extremely efficient. 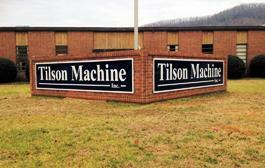 It is this high efficiency that allows us to create more signs in less time than our competition. The end result is savings and fast shipping to our customers without sacrificing quality. Now in many NEW SIZES from 6 inch x 6 inch all the way up to 10 feet x 24 feet! Use our easy step by step options page to order your business signs, church signs or school signs online today. Need more than one sign? We make sign grade acrylic sign faces for backlit signs in custom sizes to match your existing sign cabinet. In addition we can provide and install complete UL Approved sign cabinets. Contact us for pricing.